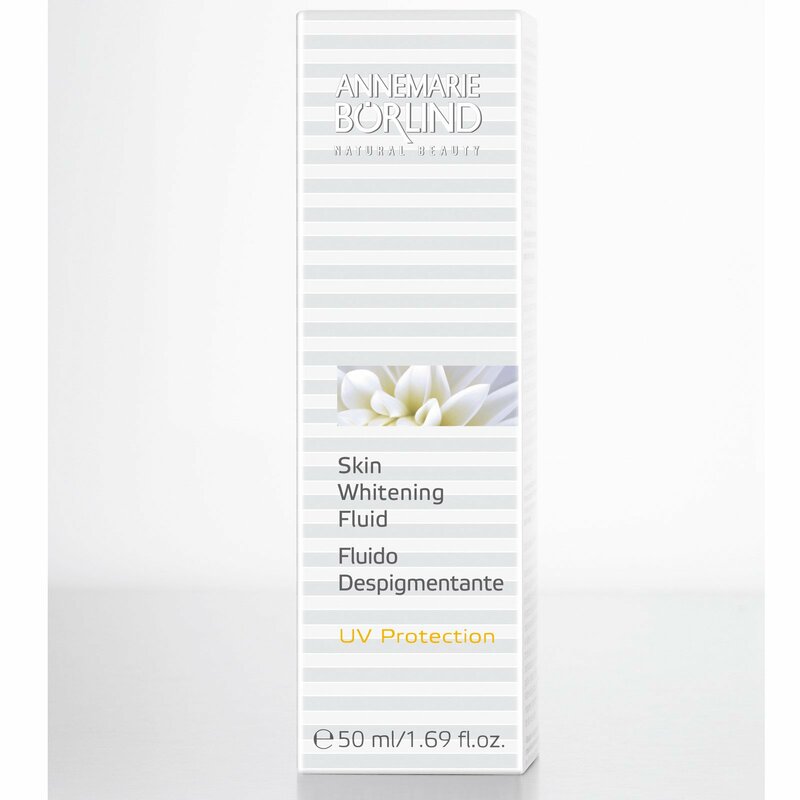 This non-greasy Skin Whitening Fluid gives a smooth, lighter complexion. It reduces pigment flecks caused by the sun or by increasing age. An extract from garden cress reduces the melanin production without damaging the skin's protective mechanism. 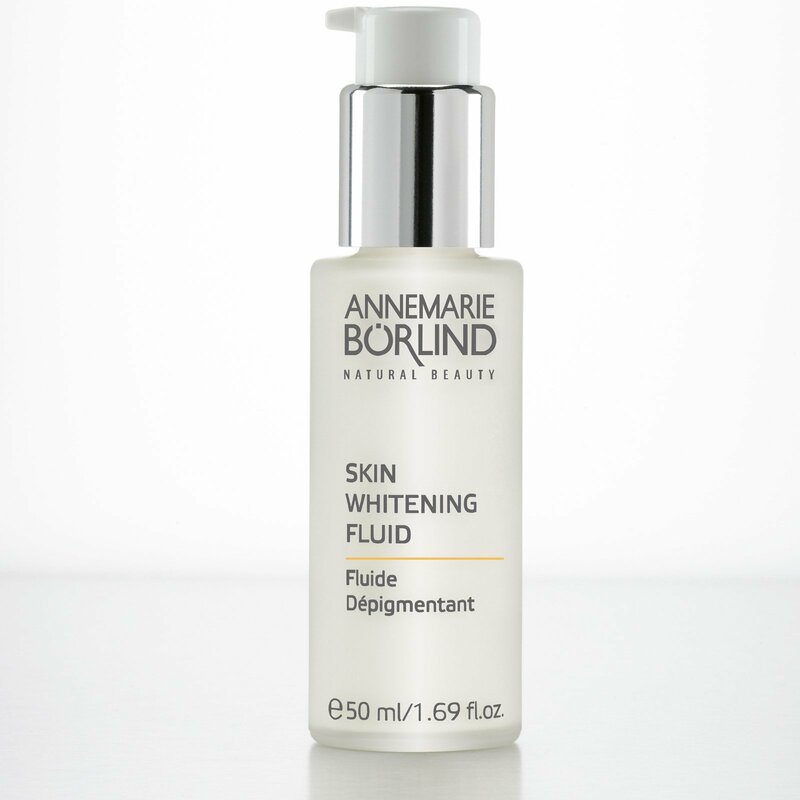 Cares for the skin, balances moisture loss and helps to prevent fine lines caused by dryness. Apply mornings and evenings to cleansed skin. Then apply day or night cream if required. Aqua (water), sorbitol, coco-caprylate/caprate, simmondsia chinensis (jojoba) seed oil, squalane, glycerin, sodium stearoyl lactylate, glyceryl stearate, brassica campestris (rapeseed) sterol, benzyl alcohol, sodium ascorbyl phosphate, potassium cetyl phosphate, alcohol, CI 77891 (titanium dioxide), menthyl lactate, talc, xanthan gum, salicylic acid, lecithin, bisabolol, oryzanol, stearyl glycyrrhetinate, benzyl benzoate, aroma (fragrance), sorbic acid, linalool, benzyl salicylate, ascorbyl palmitate, hydrogenated palm glycerides citrate, lepidium sativum sprout extract, soy isoflavones, tocopherol, limonene, evernia furfuracea (treemoss) extract.